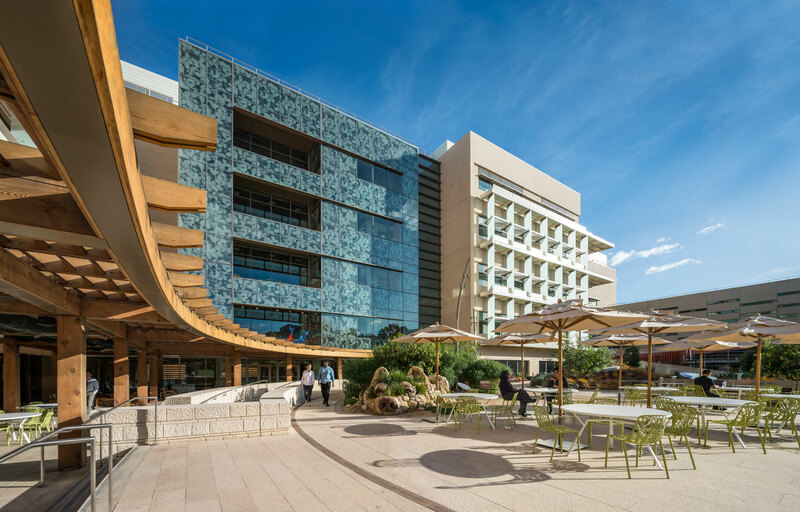 The newly expanded Lucile Packard Children’s Hospital Stanford, more than a decade in the making, takes a patient-first, family-friendly approach that places it at the forefront of medicine and design. 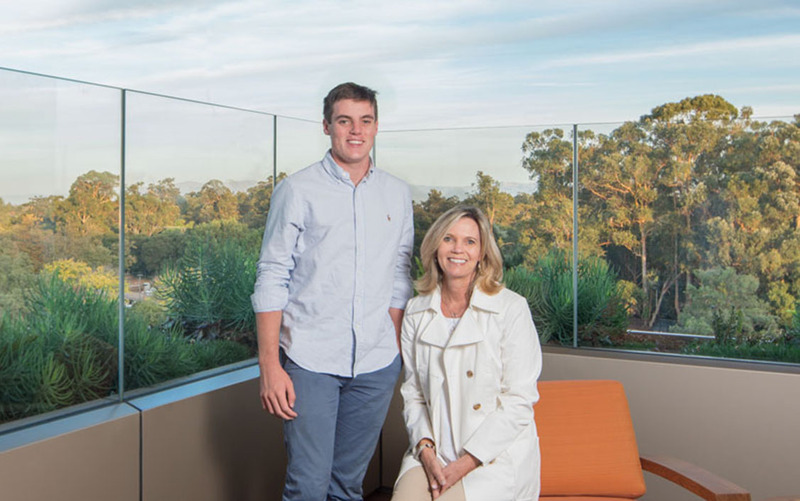 When you enter the lobby of the new Lucile Packard Children’s Hospital, which opened late last month, it may take you a moment to realize you are in a healthcare facility—one featuring top-of-the-line medical technology. Natural light spills through unusually large windows. Undulating walls recall ocean waves. And a series of metal birds hangs elegantly from the ceiling. 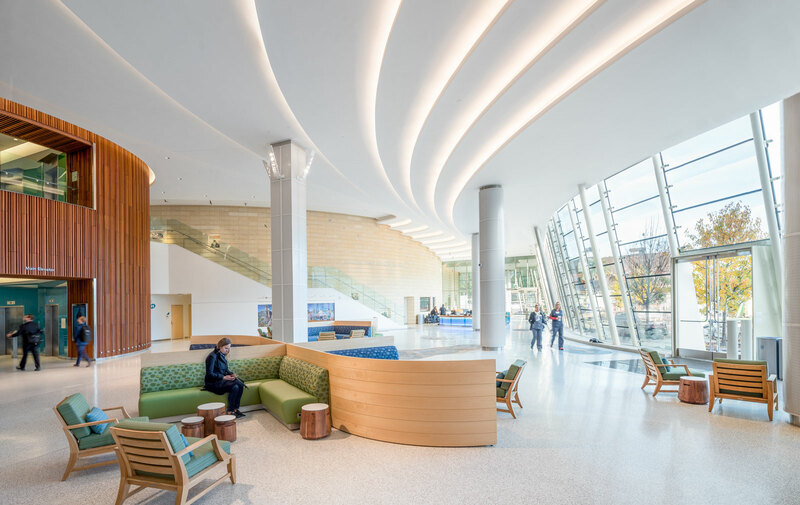 The lobby of the Lucile Packard Children’s Hospital is bright and spacious—intended to put patients and their family members at ease the minute they enter the building. These aren’t the standard trappings of a hospital—and that’s the point. The goal was to synthesize nature, sustainability, and technology into a cogent whole, mitigating the stress young patients often feel during their stay. Not only does such an approach dispel stereotypes of hospitals as sterile places, but it also redefines what a medical facility can be. Behind every feature was a process of careful deliberation that gives the building a personal touch. The soothing nature theme, for example, is in keeping with the values of Lucile Salter Packard, who believed that nature was integral to healing and whose $40 million donation helped build the original hospital decades ago. 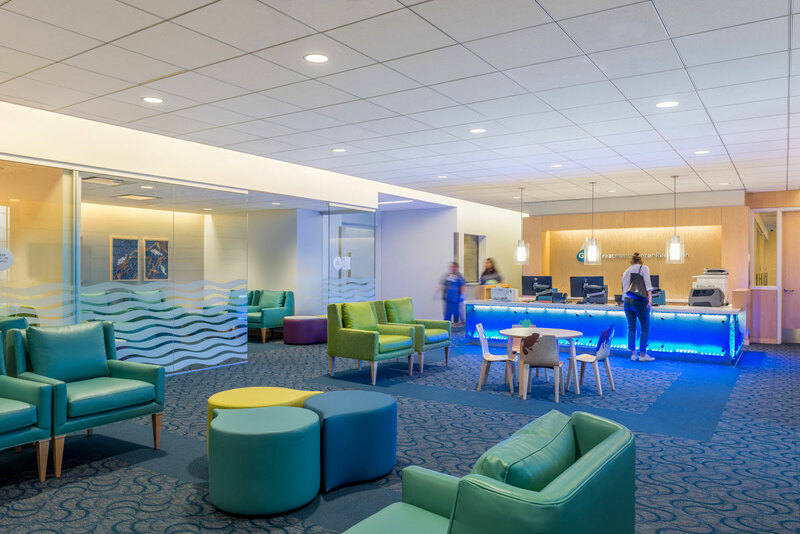 Input was also solicited from medical staffers, employees, and patient families, who weighed in on details like furniture comfort and food services to create a calming environment for patients. Here are some of their stories. 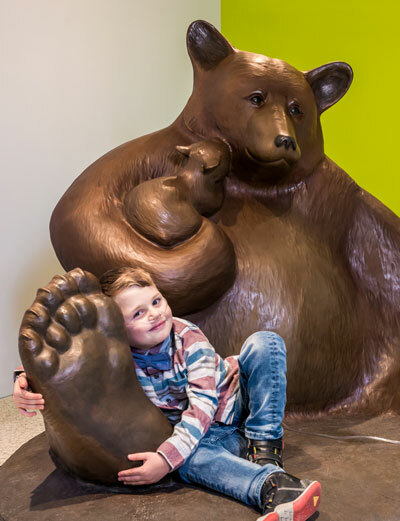 Every time Jennie Briend’s 6-year-old son, Tyler, visits the new main building at Packard Children's Hospital, he runs straight to a large bear sculpture and gives it a big hug. 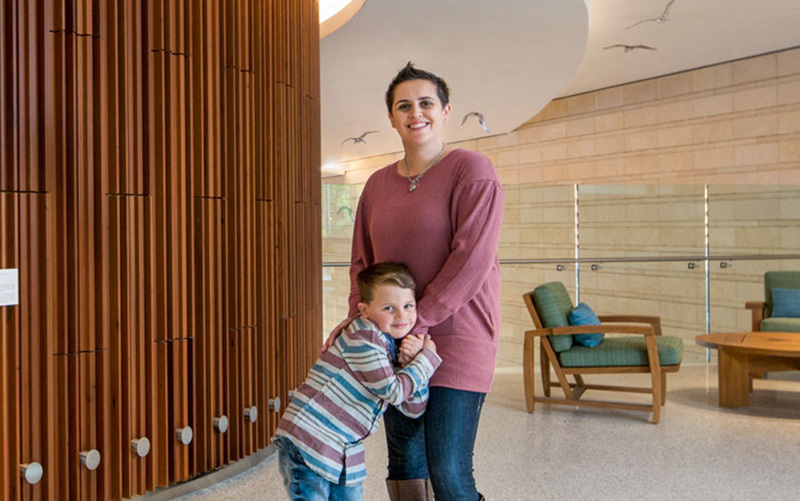 “He just thinks it's the best thing ever,” says Briend, a member of the hospital’s family advisory council who, along with her son, gave no small amount of input during construction. A favorite among many visitors, the bear also functions as a useful landmark for those who are new to the building or who may not speak English as their first language, per Briend, since hospital layouts can often be confusing. 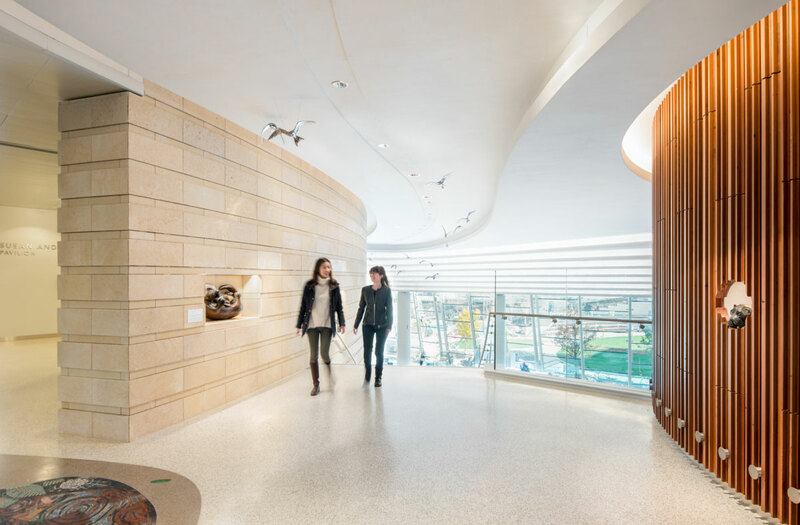 A number of installments serve a similar function, including the 100 birds that hang from the ceiling in the back of the lobby, in honor of Lucile Packard’s centennial. In honor of Lucile Salter Packard’s centennial, 100 metal birds hang from the lobby’s ceiling, leading up to the first floor. 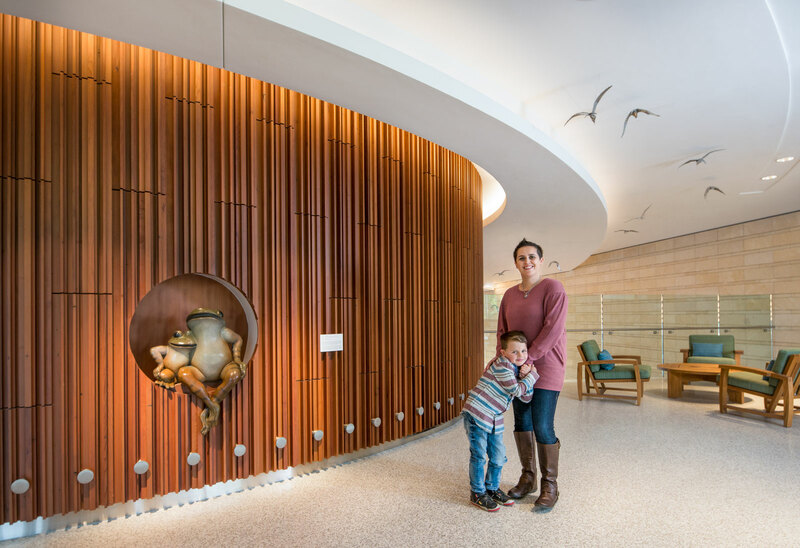 Sculptures of aquatic mammals and other creatures of California are playfully situated throughout the hospital. The elevator bank is made from repurposed redwood, salvaged from an airship hangar at Moffett Field in Mountain View. Briend’s son has spent a majority of his life in hospitals. He was born with an undiagnosed critical cyanotic congenital heart defect and was airlifted to Packard Children's Hospital when he was two days old. He has undergone three open-heart surgeries, nine cardiac catheterizations, and has been to the operating room about 50 times. In addition to his congenital heart defect, he also has epilepsy, cerebral palsy, and autism. He's lived in hospitals for months on end. 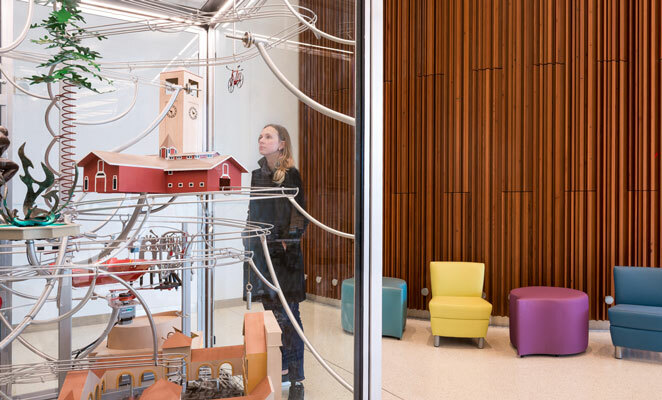 A kinetic ball machine sits in the hospital’s lobby, captivating children of all ages. 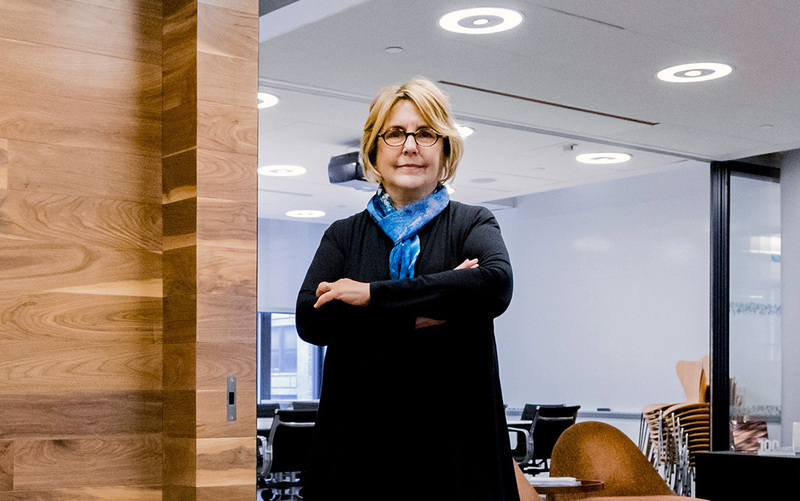 Robin Guenther is an architect at the New York firm Perkins+Will, which built the new hospital in association with the firm Hammel, Green and Abrahamson. 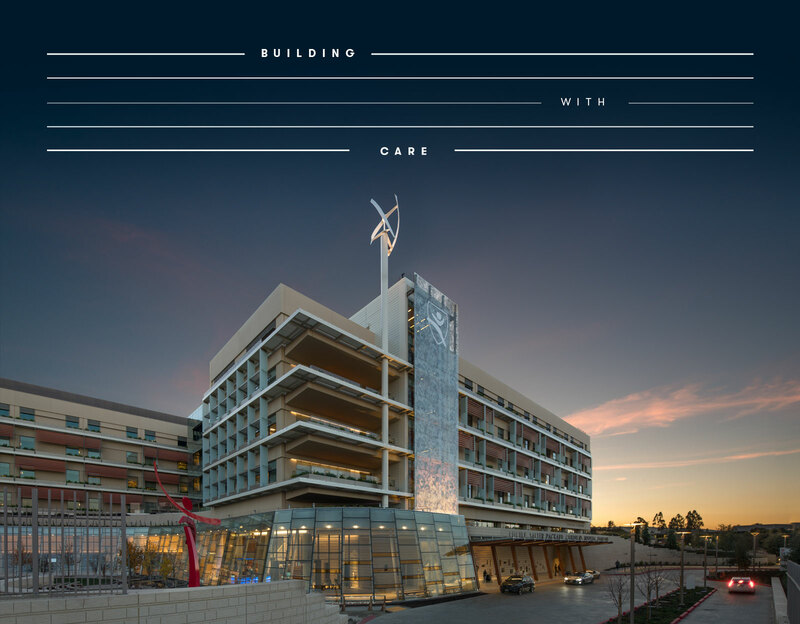 A specialist in sustainable health-care design, Guenther—the only member of the architecture and design team that has been on the project since its inception more than a decade ago—was tasked with integrating sustainable design with a child-oriented functionality, to create a unified building, unique to its Northern Californian setting. To achieve this, the floors serve as representations of California’s ecoregions: the shore, the redwood forest, the valley, the desert, and the mountains. The hospital's board convened with Stanford ecologists to identify the plants and animals of each ecoregion and then asked focus groups of patients and their siblings which animals they liked. The favorites—including the bighorn sheep, the tiger salamander, and the kit fox—were integrated into the design. “The goal is to stimulate the children in their recovery and in their journey to health,” says Guenther. The hospital’s cafeteria opens to the eponymous Dunlevie Garden, which features a large wolf head made of stones and plants. Guenther also sought to blur the boundary between indoor and outdoor space, despite the strict pressurization and building codes of hospitals. The cafeteria, for instance, offers alfresco dining, and terraces are on every patient floor. The hospital’s design is tightly linked with its performance; horizontal louvers and vertical fins, for example, direct sun away from the building during the hottest months of the year. Those features, along with an innovative ventilation system that pumps air throughout the building, will save a large amount of energy. 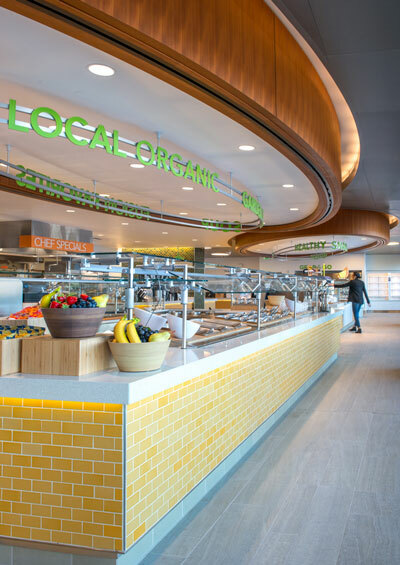 The cafeteria’s open-space layout lets kids to go in and see what’s being cooked—mostly local, organic food—right before them. The building, Guenther says, may be one of the most sustainable hospitals in the United States. She and her team developed an underground cistern system: Two huge containers that collect about 110,000 gallons of water intended for irrigation of the property that will save 800,000 gallons of water per year. The water comes from rain runoff, water processed for dialysis, and condensation from the air-handling units. 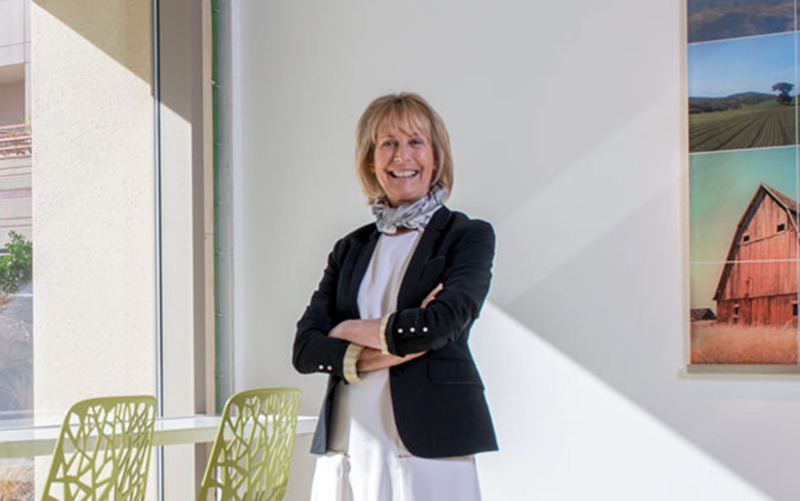 According to Elizabeth Dunlevie, a Packard Children's Hospital board member and longtime advocate and benefactor for children’s health, the core elements of the building’s design are education, nature, and whimsy. She and her associates settled on those themes because they felt it was important that the hospital operate on a human level. Medical facilities are often stressful environments, and anything that can alleviate stress is key. “Having gone through having a child with a very serious health issue, you get a deeper grasp of the stress and fear and the lack of control of watching your child navigate health care and serious health issues,” says Dunlevie. 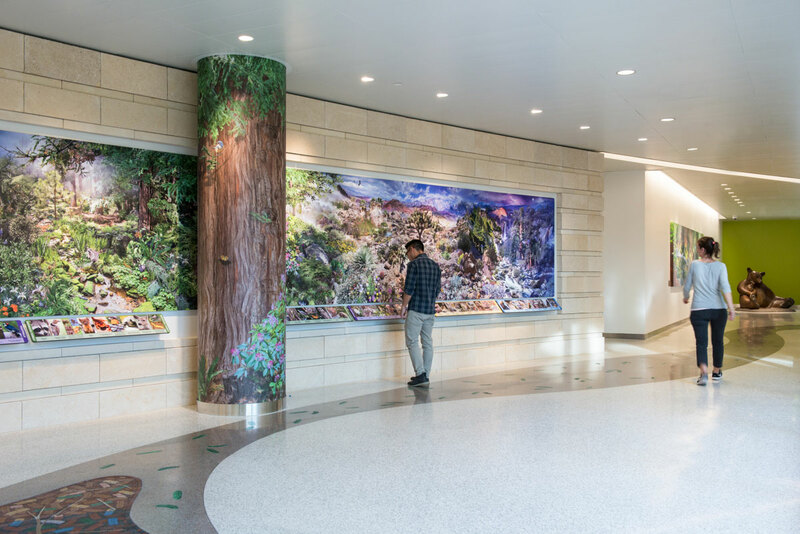 A photomontage, on which one can search for the flora and fauna of California’s many ecoregions, gives patients a fun, informative activity. The large bear sculpture, beloved by patients, sits at a corner on the way to the adjacent West Building. A diverse collection of art and installations intended to reduce stress can be found all over the hospital: A large wolf head made of stones and plants, for instance, sits in the eponymous Dunlevie Garden, along with a tree house and a grotto-like puma den. And because the hospital is situated on the campus of a major university, Dunlevie says it was important to incorporate educational elements into its design as well. A collection of animal sculptures adds levity and teaches kids about the regional wildlife, and a photomontage in the first-floor hallway, on which kids can search for flora and fauna, gives patients a fun, informative activity. An interactive play wall in the Story Corner off the lobby, at left, responds to kids’ movements. 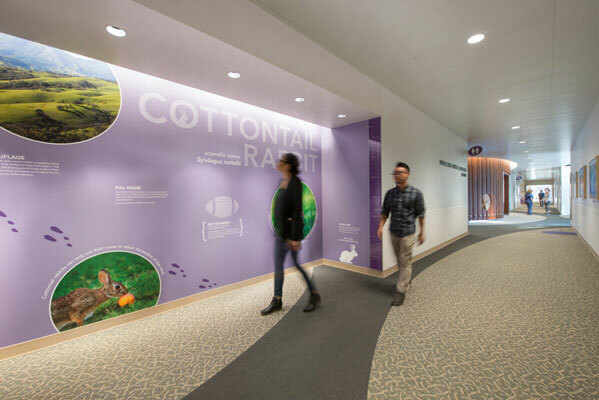 At right: The fourth floor is themed around the foothills of California and features an information wall about the cottontail rabbit. 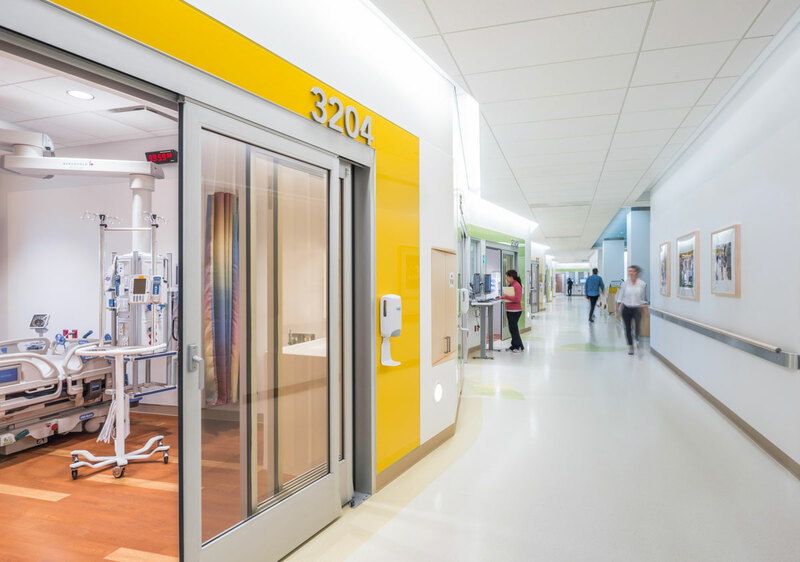 One of the hospital’s biggest goals, per Dunlevie, was to make the visiting experience accessible to children of all ages but sophisticated enough to engage older patients and families. With that in mind, the designers created playrooms for different ages on each floor, so teenagers can enjoy a game of foosball while younger kids can play with crayons and Legos. An analemmatic sundial in one of the gardens allows older patients to read the time, but younger visitors also make use of it. “Last month, I was out there with a group of kids, and they were playing duck, duck, goose around it,” Dunlevie recalls with a laugh. 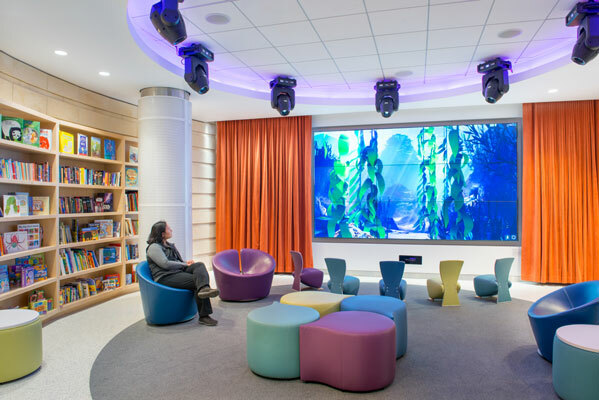 Technology meant to improve the patient experience is thoughtfully integrated into every aspect of the hospital, from the ball machine in the lobby to a motion-activated play wall and the ceiling lights in the imaging rooms that provide a soothing distraction for kids. But the technological capabilities go far beyond entertainment and stress reduction. 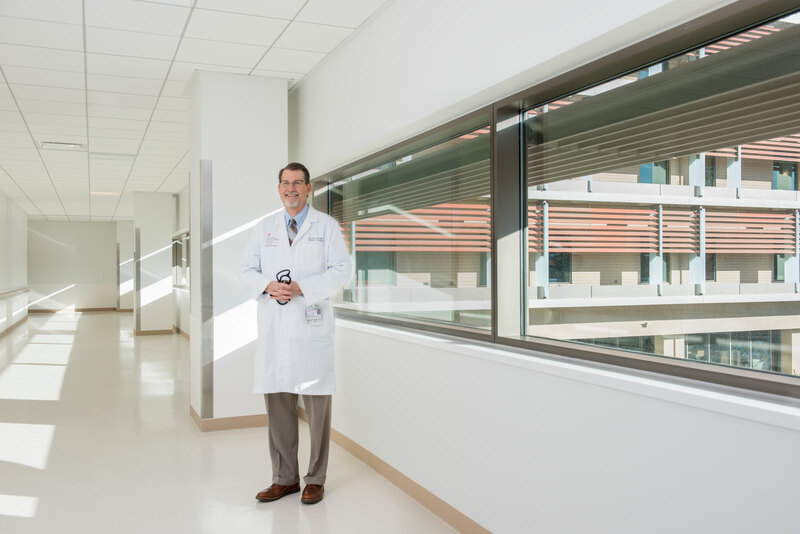 The new expansion adds six operating suites, some of which are hybrid, allowing for interventional radiology and surgeries to take place in the same space. 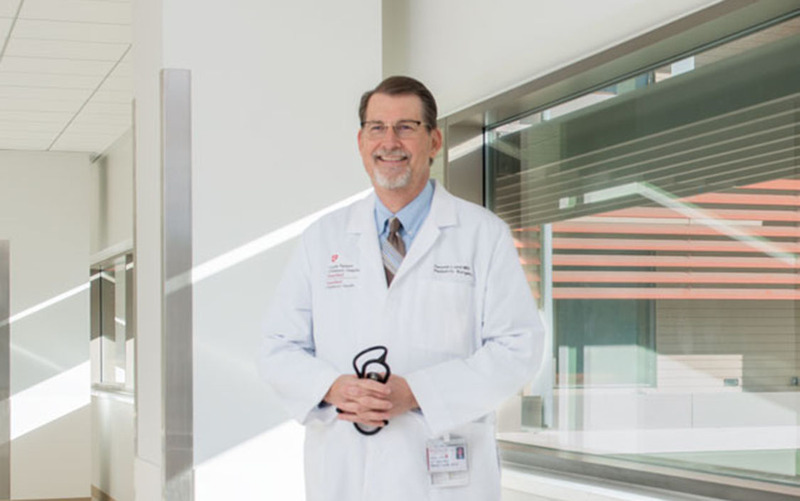 “That kind of technology is extremely rare,” says Dennis Lund, M.D., Packard Children's chief medical officer. There is also ROSA, a robotic tool that helps ensure procedures happen in a minimally invasive fashion, as well as the latest imaging technology for pediatric patients. High intensity focused ultrasound can be used to avoid surgery altogether by treating tumors with sound waves instead. Patient rooms have wider-than-usual doors so medical staffers can wheel in imaging equipment. 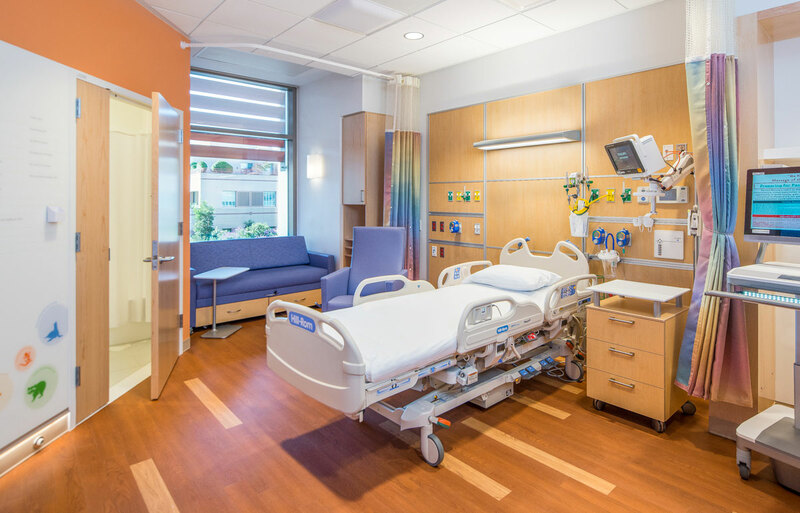 Nurses’ stations are positioned directly outside the patient rooms to improve interaction. The medical staff will make use of a new technology called RTLS, or real-time location services, so staff and equipment can be easily located throughout the building. Patients also will benefit from the service, as medical workers wearing their RTLS badges can be identified on a smart television monitor. This helps the patients figure out who’s coming to see them—therapists, physicians, nurses—eliminating any potential confusion. At the hospital’s resource center on the ground floor (at left), family members have access to printers and computers. At right: The hospital’s imaging suites employ the latest technology for pediatric patients. At the hospital’s resource center on the ground floor (top), family members have access to printers and computers. 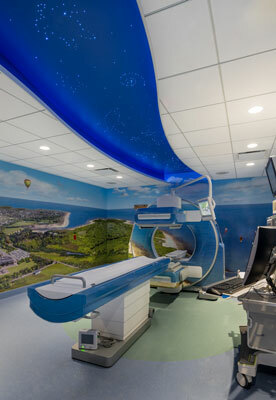 Above: The hospital’s imaging suites employ the latest technology for pediatric patients. 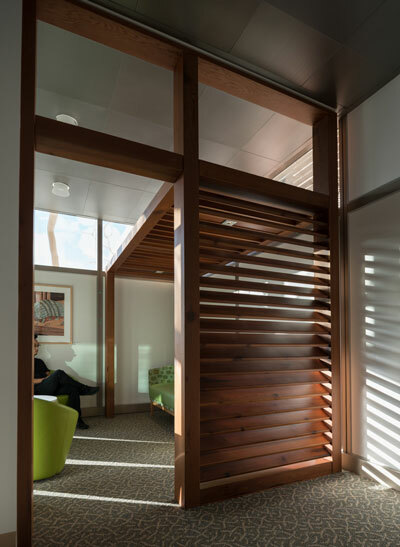 A pair of retractable curtains ensures that patients and family members alike can have their privacy, even in a small space. Suites are equipped with a pull-out couch and a second TV to accommodate family members who are staying with a patient. Medical staffers wearing RTLS—or real-time location services—badges are identified on a smart TV monitor when they walk into a room, eliminating the confusion some patients may feel about who is coming to see them. To answer that question, they started by beta testing a series of mock hospital rooms. 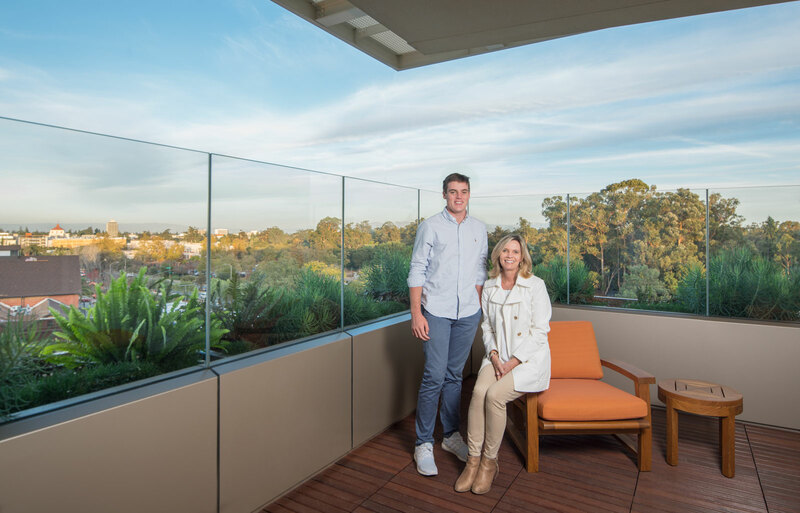 The rooms, which are private and allow for two parents to stay overnight, are also divided into three areas: one for the patient, one for the care team, and one for family members. Flynn considered such factors as whether the light in the family area was too bright for night reading and whether there were enough cubbies to store and charge electronics. “We recognized that when parents are bedside with their children, it's typically one of the most stressful things they go through,” says Flynn. She also helped choose the art for the hospital, which functions in many ways like an interactive gallery. There are hallway-long murals as well as wondrous sculptures, illustrations, and mosaics that are intended to be both healing and engaging.